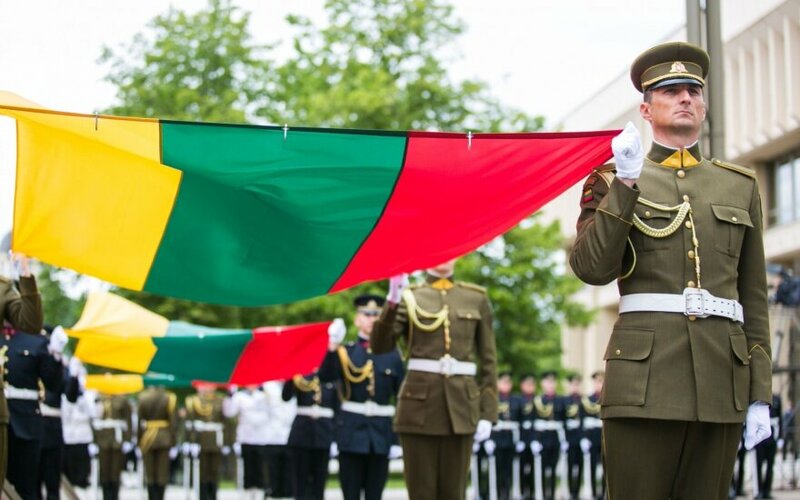 There is only a little more than five months left to the centenary of Lithuanian independence which will be celebrated on February 16, 2018. Meanwhile the website intended for the celebration does not even provide data on who is responsible for organising it, LRT.lt writes. Neighbouring Latvia and Estonia, who will also celebrate their independence centenaries, have websites with ample information about already past or pending events for their jubilees, as well as clearly specified contact details for the organisers in several languages. The Latvians and Estonians have managed to dedicate truly impressive programmes and funding to mark their centenaries. How much will jubilee events cost in Lithuania and who will finance them? A clear answer is so far unavailable. It would appear that municipalities and other institutions will need to fund it from their own budgets. Come up with a celebration ourselves? "The Centenary programme is very conceptual. To my understanding from the latest jubilee commission, which is headed by Prime Minister Saulius Skvernelis, meeting, all previously planned investment projects are currently halted. Only the Vilnius Vingis Park stage reconstruction will be funded from the state budget because the Song Festival will be held there next year. All other events, which will not only be held in the capital, will have to be financed by the municipalities themselves," Municipality Association head Roma Žakaitienė said. The government chancellery Independence Reestablishment Centenary programme is coordinated by Neringa Vaisbrodė. However the website "Reestablished Lithuania turns 100" does not specify how to contact her. After obtaining her work cell phone, it was only possible to reach her after a week because apparently the phone had been malfunctioning. N. Vaisbrodė explained to LRT.lt that after discussions it was decided that the celebration programme, which was made by the former government, should only retain projects which involve several state institutions which would need coordination. This is why the programme no longer contains the widely discussed monument for the nation's patriarch Jonas Basanavičius in Vilnius, the reconstruction project for his home in Vilkaviškis region, a monument to President Antanas Smetona, Vilnius Lukiškės Square, National Stadium, congress centre in the abandoned Vilnius Sports Palace and a number of other ideas. According to N. Vaisbrodė, the initiatives being removed from the programme does not mean they are to be halted overall. It is just that the municipalities or other institutions will have to curate them. "They should simply not be linked to the Independence Reestablishment Centenary programme. Both the reconstruction of Lukiškės Square and the plans to build a monument to J. Basanavičius were conceived prior to the programme being created. The significance of these projects was not diminished by them no longer being included in the programme and they will be accomplished," N. Vaisbrodė assured. What will the chief event for the centenary of re-established independence be, where will it be held and who will be able to participate? According to N. Vaisbrodė, the goal of the coming celebration is for it to be celebrated by all of Lithuania, stating that "The main date is February 16 and we want it to be meaningfully commemorated across Lithuania. This is why the celebration website provides the opportunity to register to all the planned initiatives and events in cities, towns, regions and communities. We also ask people to spread this information on social media." Currently the website only features information about a February 16 event in Šiauliai. Will this be all? "The website was created a week or two ago. This is why we are now initiating another wave, calling everyone and urging to register as many events as possible. But currently we are only seeing as many events as were registered," N. Vaisbrodė noted. She also explained that a part of the celebration scenario in Vilnius is being created, based on traditions which have developed over a number of years. The completed programme for the capital will appear right before the February 16 celebrations next year. N. Vaisbrodė mentioned that there are plans for a festive commemoration and concert at the National Opera and Ballet Theatre, commemoration by the Presidential Palace, youth march, mass at the Vilnius Cathedral and a concert in the Cathedral Square. Hundreds of bonfires will be lit in Vilnius, there are plans to sound bells across Lithuania concurrently. The Social Democrat government of Algirdas Butkevičius began making the programme for the celebration of Lithuania's centenary. As former vice chancellor Rimantas Vaitkus recalls, separate financing was not assigned for the celebration, stating that "Minor events were to be financed from municipal or Culture Council funds. The state budget was to fund the reconstruction of Lukiškės Square. 100 million euro was earmarked for completing the National Stadium. There were also plans to finance the creation of a congress centre at the current Sports Palace. Unfortunately the projects were not accomplished." R. Vaitkus admitted that the creation of the programme was belated and Lithuania is at least a year behind Latvia and Estonia. LRT.lt uncovered that the major cities of the country – Vilnius, Kaunas and Klaipėda are planning programmes and events for the independence centenary on their own, without awaiting aid from the government or other institutions. Vilnius mayor's advisor to creative projects Karolis Žukauskas was unwilling to reveal how the celebration will be organised in the capital, where on February 16, 1918 the members of the Council of Lithuania signed the Act of Independence, but assured that an interesting scenario is almost prepared. "But for now it is still unclear how our country will celebrate the centenary of independence. I understand only that there will be a commemoration. We feel a lack of decisions how to involve as many people as possible into the celebration, this is why we decided to create a separate programme for Vilnius. Based on our plan, the celebrations will begin a week ahead of the independence centenary. I would rather not reveal all the details. 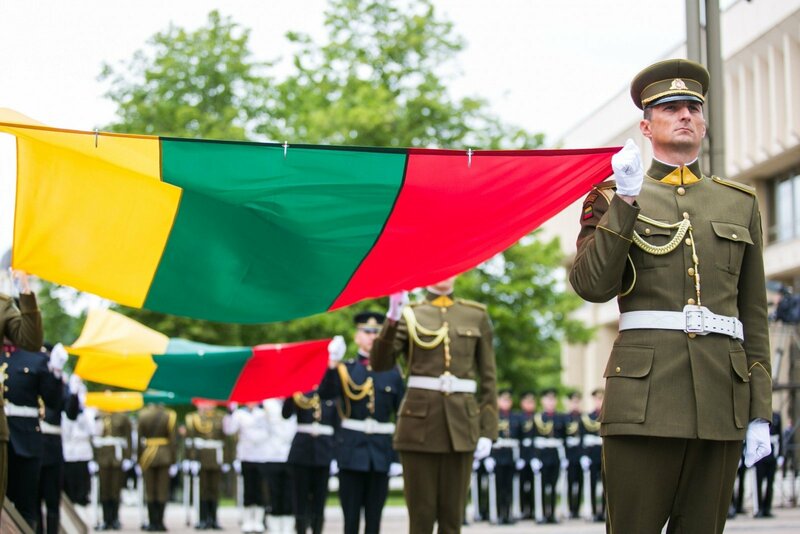 We are creating a scenario which is novel in the history of Lithuanian celebrations," K. Žukauskas assured. He also stated that the capital has not received funding for the celebration from the state budget and does not expect it. The advisor stated he has looked into how Latvia and Estonia will mark their centenaries and admitted that the neighbouring countries are working hard, having long surpassed Lithuania in the matter. This is particularly notable in Estonia, which managed to make use of its chairmanship of the European Union for its independence centenary. Kaunas vice mayor Simonas Kairys stated that the temporary capital also has no expectations of support from the cabinet or ministries and plans an independent celebration in the city. "It would be completely unforgivable if the independence centenary would bypass Kaunas, which hosted the country's main government institutions during the interwar period, this is why we have already planned out a number of events. A gala commemoration and concert will be held at the Žalgiris Arena," he said. Klaipėda is to open a new school to commemorate the centenary, reconstruction on the Danė river embankment and Music Theatre is to be completed. Prior to the Song Festival in Vilnius, which is to be held next July, the port city also plans to host a Song Festival and other events. "We have long understood that the main attention will be on the events in Vilnius and no-one will offer us anything, thus we are doing our own best. Unfortunately the stance is that Klaipėda is competent enough not to need funding stands since the inter war era," Klaipėda vice mayor for culture Artūras Šulcas quipped. Seimas Committee of Culture head Ramūnas Karbauskis admitted that he does not yet have information on how the Lithuanian independence centenary will be marked, only stating that he is aware that the former government's plans are cancelled and a new programme is being formed. "The situation would have been completely different if the centenary programme would not have included various constructions and it would have been continuous as in Latvia or Estonia. When the Seimas session begins, the committee will certainly discuss the celebration programme because we need answers to a mass of questions," R. Karbauskis assured. He also stated he has information that the state budget will provide 5 million euro for the independence reestablishment centenary programme. The committee head explained that the believes it would be meaningful to reinter the remains of what is believed to have been the organisers of the 1863 uprising organisers Konstantinas Kalinauskas and Zigmantas Sierakauskas at the foot of Gediminas hill, with the funeral being a part of the commemoration programme. "This could be a serious accent in the commemoration of the independence centenary. I have asked historians to present information about these events [The 1863 uprising] because both politicians and the public know too little of their influence on the country's development," R. Karbauskis said.